The College of Arts and Sciences at Fayetteville State University (FSU) has announced the establishment of an online master’s degree in psychology. The degree is designed to enable students whose circumstances prevent them from attending classes on campus, or those in the military and their relatives obtain a graduate degree. Through instructions in theory, statistics, and research methodology, students in the master's degree program will be prepared for a variety of careers in teaching at community colleges, business, human resource services, research and data analyses, homeland security, and doctoral degrees. All courses are delivered online through Canvas by a dedicated group of highly qualified professors. The purpose of the online degree program is to provide diverse students, including those with limited access to a nearby university or those who have scheduling conflicts with face-to-face programs, to earn an advanced degree in psychology. 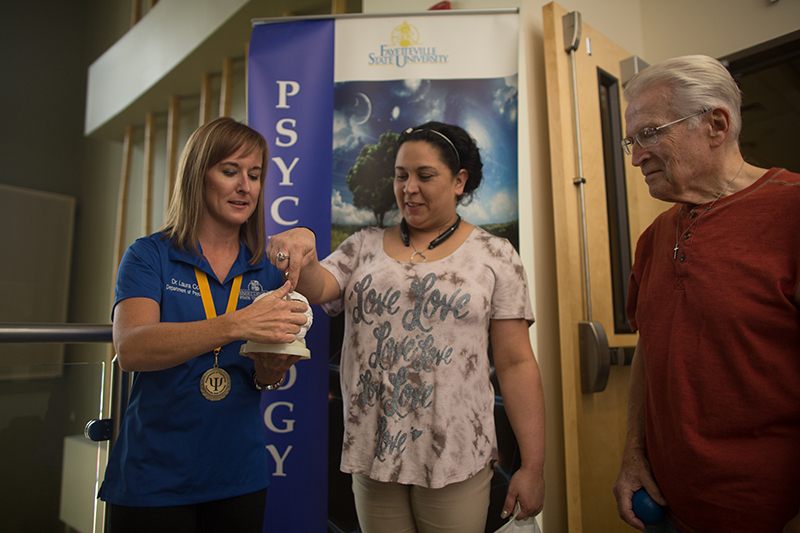 The program has a broad focus to prepare students for various careers in psychology and related fields in business or local, state, and federal institutions, or provide a foundation for further studies leading to the doctorate degree in psychology. This degree program will not result in eligibility for clinical licensure. Applications for the program are now being accepted. To apply, go to: https://gradapply.uncfsu.edu/. Classes begin in January 2019. For More information, contact Dr. Maxwell Twum-Asante, Interim Department Chair, at mtwum@uncfsu.edu or at 910-672-1855.